One of the best things about Leaky Con is the Marketplace. 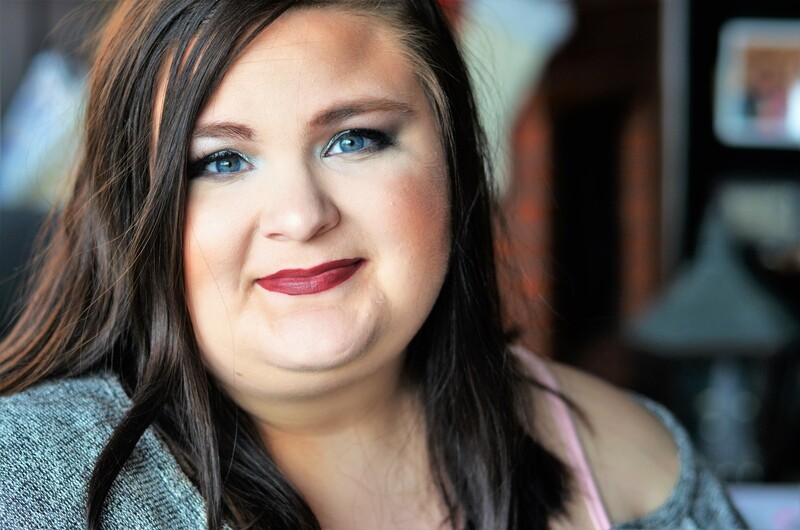 If you didn’t read my Leaky Con post, make sure to do so! Leaky Con is basically Comic-Con but on a smaller scale for the Harry Potter fandom alone. Last year it was in Ireland, and this year was in Texas- much closer to me! The Marketplace is almost like a huge craft fair full of Harry Potter inspired items. 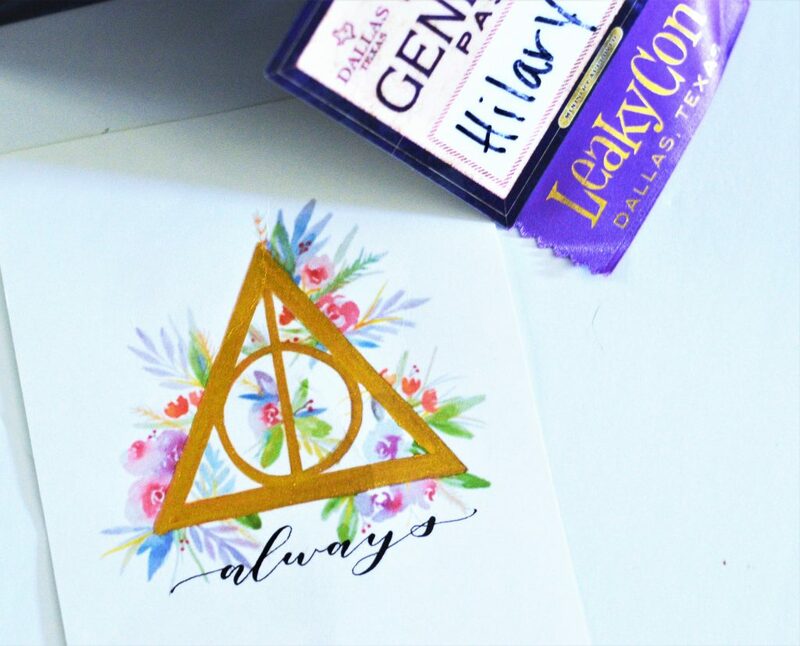 Some very obviously Harry Potter themed and some more understated. From jewelry to loose leaf tea, there are hundreds of items you can buy and enjoy. I always love shopping small and supporting either local or small businesses as opposed to bigger corporations. The Marketplace was full of vendors selling their homemade items that we could enjoy. I tried not to buy too much on the first day, I had a few things in mind that I wanted to look for and tried to take my time and see what all the vendors had to offer. I will say- I could have spent another couple hundred dollars there easily! Seeing everyone’s homemade items were exciting and I love all these kinds of items. But I was proud at how I tried to narrow down what I wanted most. The Marketplace was full of so many goodies that I knew immediately I wanted to do a haul. I’ll make sure I can add in the vendor’s info to give them the credit and so you can shop their stores as well! This wasn’t exactly a Harry Potter item, but I loved it too much to let it go. 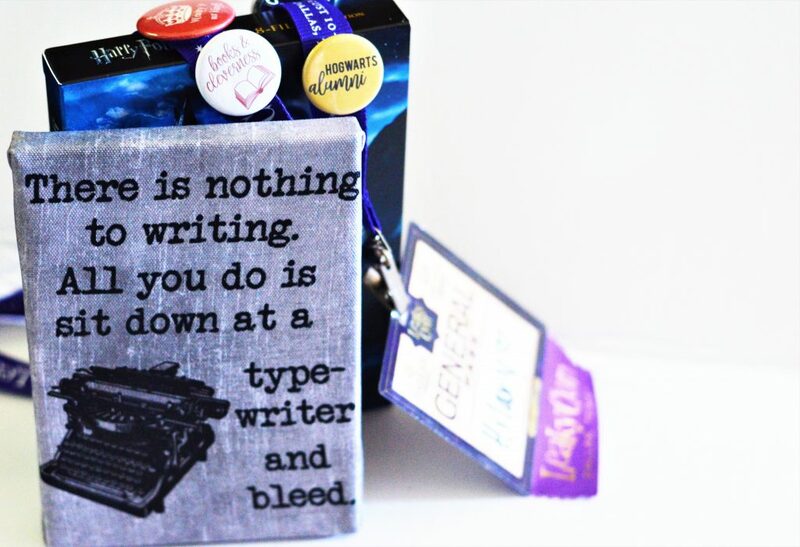 If you didn’t know, I have a small obsession with typewriters…more like a big obsession. 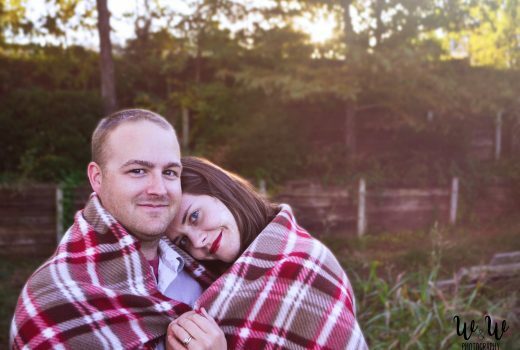 As a writer, I find them inspiring and beautiful. I actually have 3 so far, and want more! Anyway, this print just spoke to me- I had to have it. Sparkle Designs was also one of my favorite vendors. They have probably hundreds of different hand stamped necklaces with sayings from musicals, movies, books, and so much more. I couldn’t decide on a necklace there, but I am looking forward to purchasing one soon! 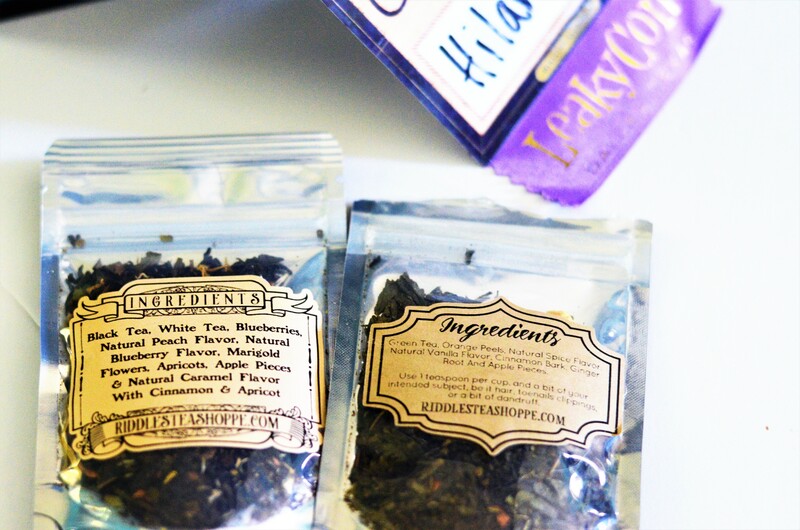 Lately, I’ve been getting into loose leaf tea and when I stopped by this vendor, I was thrilled! When I walked up I just asked that they would point me in the direction of the fruity teas- those are my favorite. I picked up 2 packs of loose leaf tea; each packet makes at least 3 cups of tea. I purchased Defense Against the Dark Arts which is a blend of peach and blueberry. 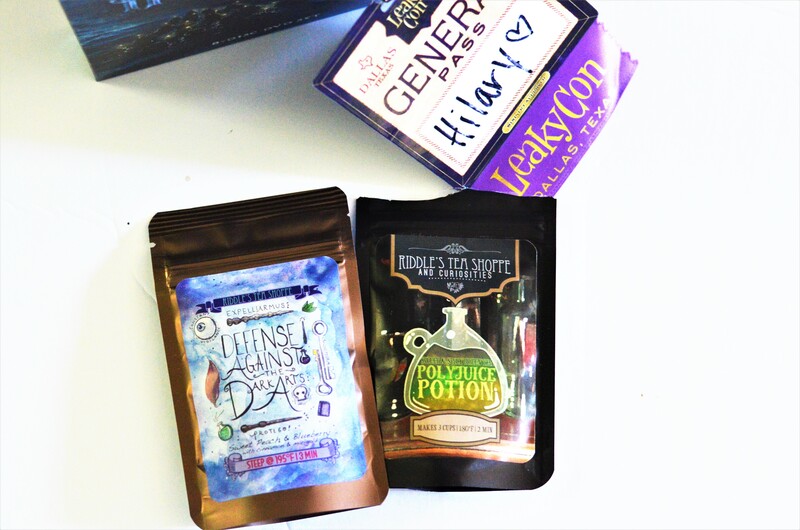 I also grabbed Polyjuice Potion with is a sweet & spicy green tea. Both of which seem like they will be right up my alley! I prefer fruity teas over sweet teas like vanilla or caramel. You know how obsessed with mugs I am. I had gone the whole convention without buying any kind of mug and I was shocked! My sister joked at the beginning I was only allowed to buy 1 mug, 1 cup, and 1 water bottle because Lord knows I would have purchased them all. But then I found this glorious mug. I love tea and coffee pretty equally so this was so accurate. 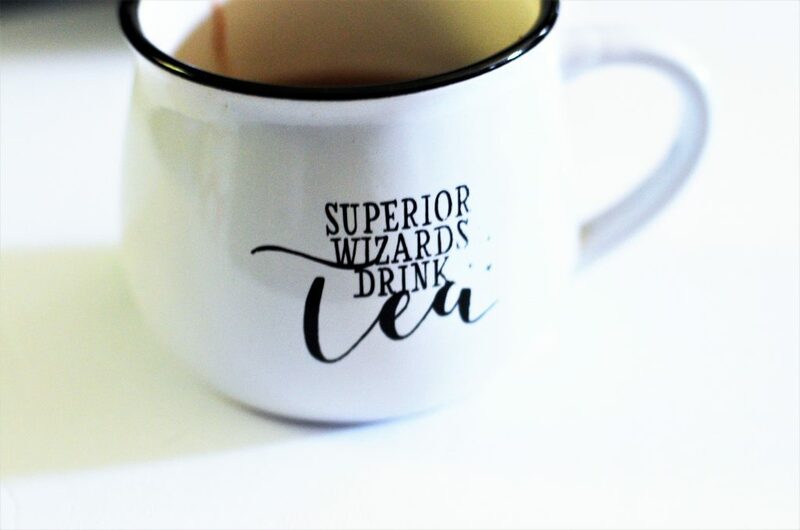 The mug says “superior wizards drink tea.” I love it! I’m sure I’ve mentioned it but I really love understated Harry Potter items and this mug is a perfect example of it. It’s also cauldron shaped, so it’s perfect. 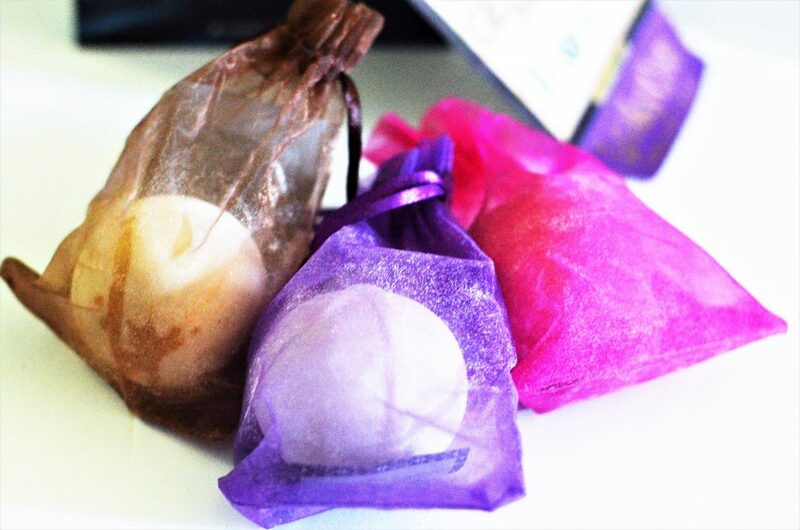 These bath bombs are so lovely. They’re obviously handmade and full of skin-enriching ingredients. The bombs have mango butter, shea butter, avocado oil, and other great things. I purchased 3 of their bombs: Dobby, Yule Ball, and Pygmy Puff. I’m excited to see how these feel in the bath and the colors they give off. I’ll make sure to put the results on my Insta Stories. Honestly, one of my absolute favorite products I bought at the moment are these soaps. We originally bought them because they were running a sale with some limited edition soaps for Leaky Con and the owner was such a sweet and personable guy. But I am obsessed with these soaps now. We’re trying to wait to put them out until we are in the new house but I’m not sure I can wait…the smells are so relaxing and refreshing. I picked up two limited edition bars: Griffindor House Bar, Seriously Black, and the Infinity Bar which I believe is still for sale on their website. 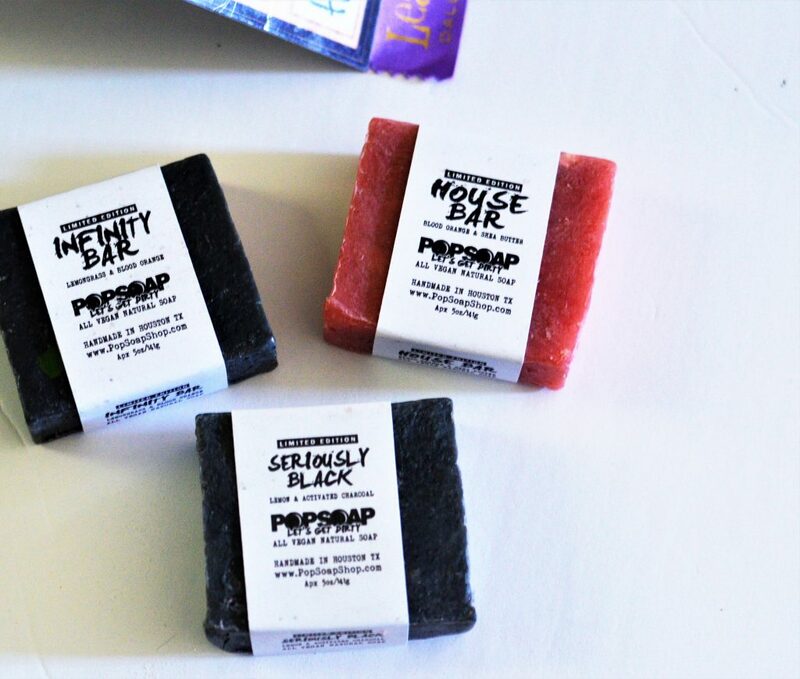 This store is much like Lush but honestly the soaps seem even better smell and quality; and of course, you’re helping support a small business when buying from Pop Soaps. The house bar is blood orange with shea butter. Seriously Black is lemon and activated charcoal. Lastly, Infinity Bar is lemongrass and blood orange. These bars are all natural, vegan soaps made with shea butter, coconut oil, olive oil, palm, oil, and other great ingredients. The first thing I purchased was this bottle! I wasn’t thrilled about the colors…but the saying was too perfect. 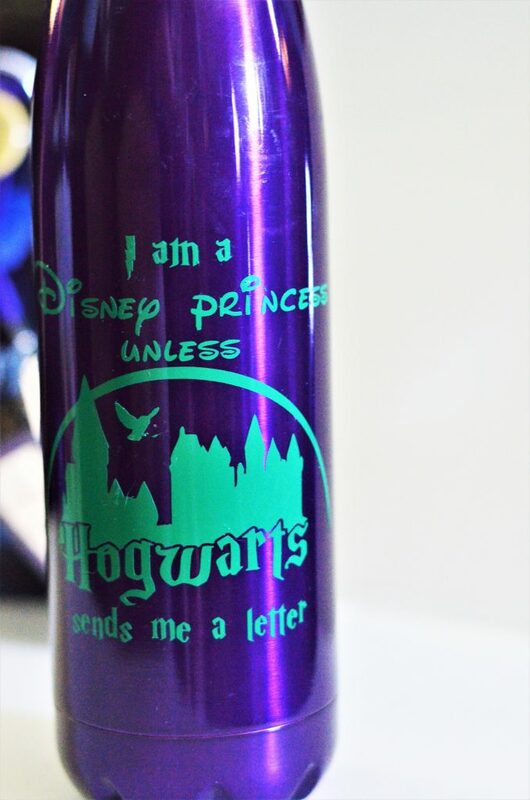 It is an insulated water bottle that says “I’m a Disney princess until my Hogwarts letter comes.” It was a mesh of 2 of my favorite things! I will forever be a Disney girl but Harry Potter is always a favorite as well. The bottle itself was very affordable and looks very sturdy. I didn’t have much Harry Potter to wear other than one shirt, so when I saw these handmade headbands I had to grab one. 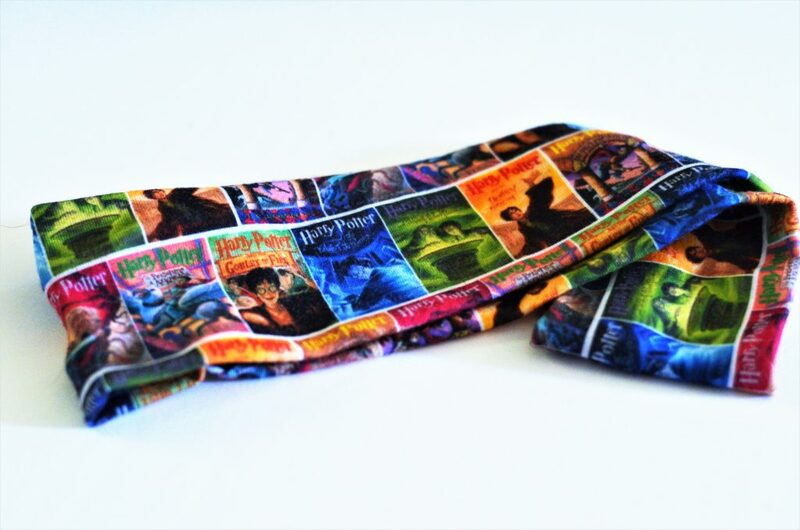 The fabric that is on mine is illustrations of the book covers. These headbands are super soft and so nice to wear! They weren’t overly tight either, I could wear it all day without getting a headache. It will be perfect for throwing on when I wash my face or do my makeup. This gorgeous print is a watercolor and hand printed piece that was just too darling not to pick up. I love anything hand printed and watercolor so this was a perfect piece for me. I’m excited to hang this on my gallery wall in our new house. The gold will match my room perfectly. This is a great little shop, I highly recommend checking it out! We saw and bought so many buttons, I have no idea where these are from. I feel so bad I can’t link the stores but I still wanted to share the cute buttons. I grabbed a couple that fit my personality or my favorite characters. Honestly, buttons were everywhere at the convention and I’m sure some places I already linked might sell some as well. 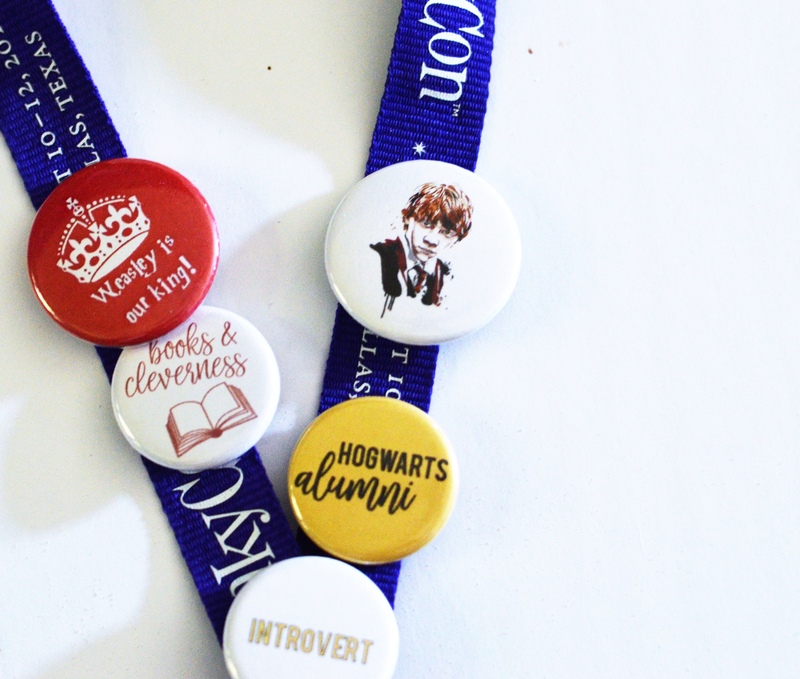 I would say that the buttons and pins were very popular at Leaky Con!